I absolutely love a long weekend. Any extra day I get with my loved ones makes my heart incredibly happy. Add in a holiday and is there truly anything better? For me the summer kicks off with Memorial Day weekend and ends with Labor Day. We do not have plans to leave the city this weekend so our festivities will be at home with lots of eating outside, games and quality family time enjoying the beginning of summer vacation and remembering why we celebrate. I shared our summer deck last week and I can not wait to break it in this weekend with lots of meals alfresco. Lawyer loves to grill and we love to eat so there is nothing better than seeing the charcoal prepping for a yummy meal. 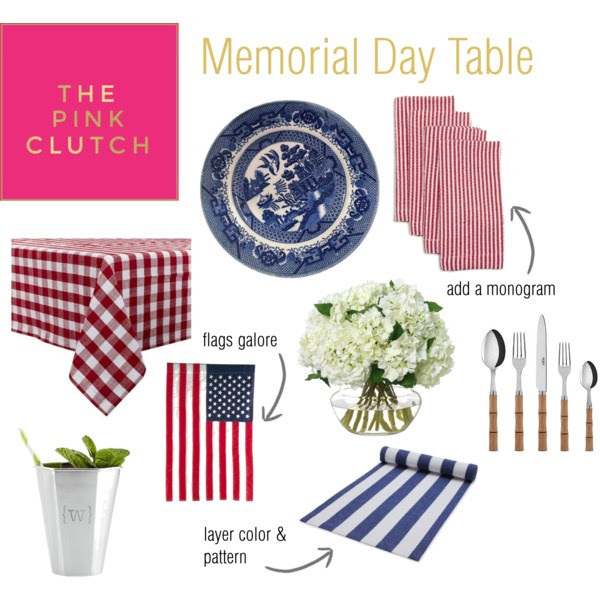 To swap up the table for the weekend I have pulled a few things to make sure we have a red, white and blue theme. Adding in flags and hydrangeas is key for me, the more the merrier. 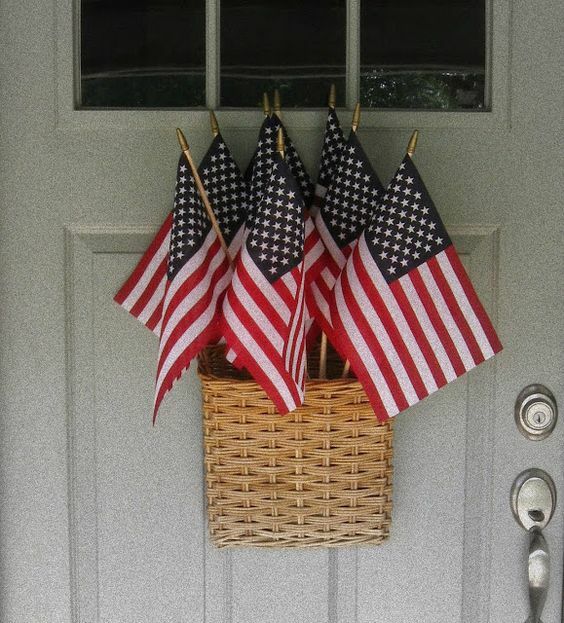 I love to display my flags in my ferns, at the front door and in mason jars full of fresh hydrangeas. Since we don't have any in our yard I am forced to purchase them from the store or beg my darling neighbors to share with me. I prefer a white and blue mix. For Lawyer the meal isn't complete without meat, but for me it is all about the sides. I have a few planned and I have pinned some amazing recipes. Fresh corn and sliced tomatoes are musts for me in any summer meal. I have added this to my list as well as all four of these sides from this post. Can you say ... #yesplease!!! I have pulled out my mint julep cups and paired them with darling red and blue straws for some fabulous festive drinks. The kids will be having cranberry juice and club soda but Lawyer and I are excited to try out this recipe. Doesn't it look ah-mazing!!!! I am ready for a family filled weekend with a quick trip up to the lake for the stars and s'mores ... what are your plans? Amazing! 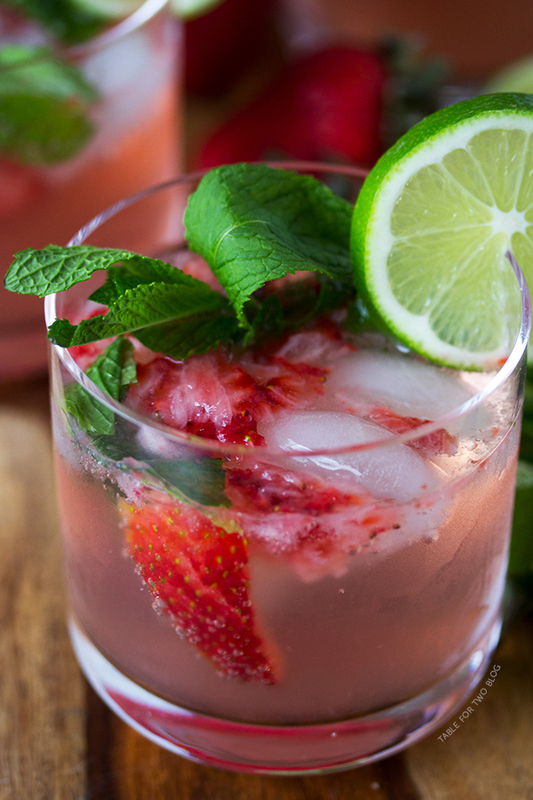 The mojitos recipe is fabulous. So simple and bet so tasty.